Newcastle’s Theatre Royal will play host to a hit play about the Victorian Geordie who invented the sport of rowing we know so well today. 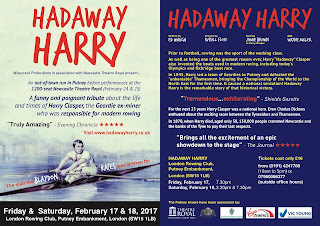 Harry "Hadaway" Clasper, who was from Tyneside, was the Sir Steve Redgrave of his day having led seven teams to win the Championship of the World on the Thames at Putney. In addition Harry, in the 1840s, invented and built the slim, light boats and outriggers used by modern scullers. At the time Clasper's revolutionary new initiatives were ridiculed because rowers were still using the old clinker-built boats that had been a feature on rivers for centuries. Harry also went on to train future world champions and umpired world championships. 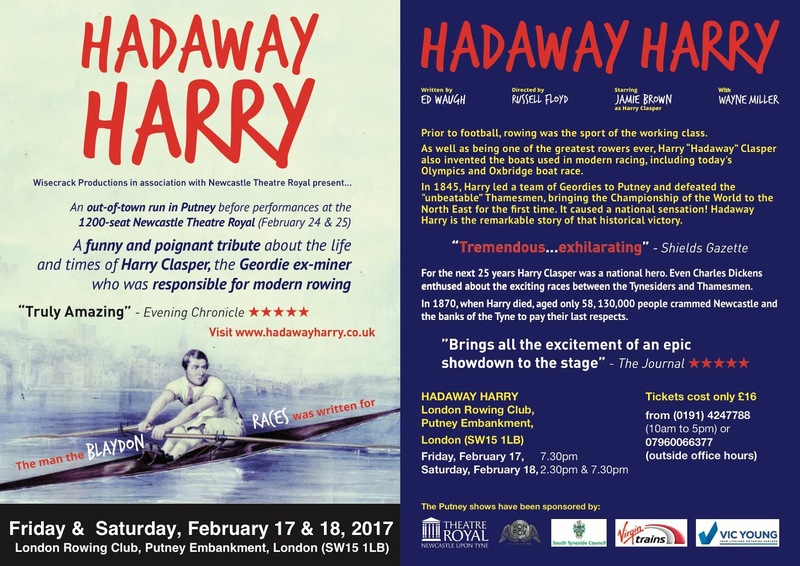 The play, "Hadaway Harry", which will be performed at Newcastle's 1200-seat Theatre Royal, will also have an out-of-town-run at the prestigious London Rowing Club on the banks of the Thames in Putney on Friday and Saturday, February 17 and 18. The play itself, which was performed to sell-out crowds and received standing ovations on Tyneside in June 2015, focuses on the very first time the Geordie oarsmen - led by Clasper and comprising his brothers - defeated the "unbeatable" Thamesmen in 1845. 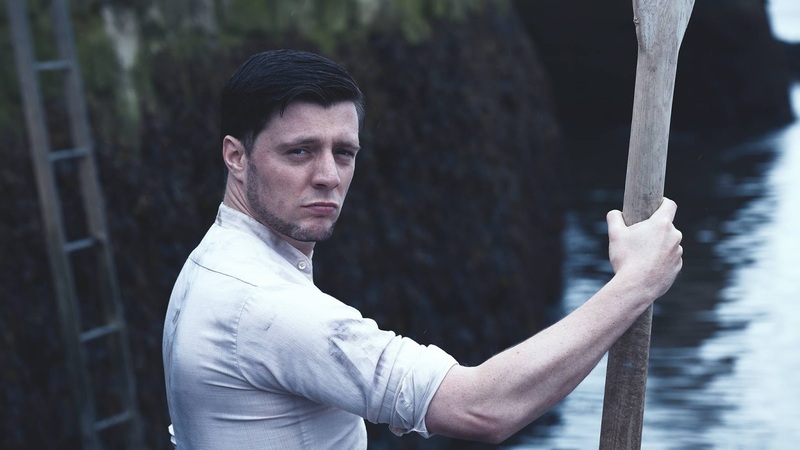 Playwright Ed Waugh, whose shows have been performed nationally and internationally, explained: "Rowing was the sport of the working class prior to football. Every major river had its champion so there was huge interest in matches because civic pride was at stake. "When Harry led his team of brothers to Putney in 1845 to win the World Championship for the first time it caused a sensation nationally; was akin to Fulham beating Barcelona in the final of the European Cup! 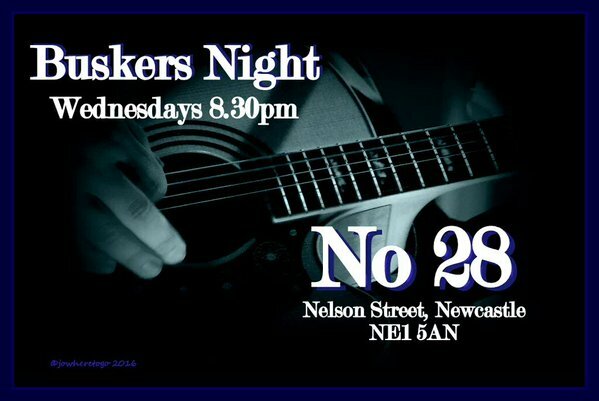 "Even Charles Dickens wrote about the wonderful spectacle of the Geordies versus the Thamesmen." Ed continued: "The National Rowing Museum in Henley features the modern greats but at the very start of the rowing timeline there you'll see writ large the name of an illiterate, former Durham miner called Harry Clasper." Waugh added: "After 1845, Harry went on to dominate national rowing for the next 25 years and when he died in 1870, aged 58, more than 130,000 people crammed the streets of Newcastle and Gateshead to pay tribute." Harry Clasper was a regular visitor to Putney. He often lodged in The Feathers pub at the mouth of the River Wandle when preparing for races. Harry Clasper's son, John Hawks Clasper, himself a top rower, went on to live in Putney; Lower Richmond Road and Stainbridge Road, both within a few hundred yards of the London Rowing Club. John, who also lived in and ran The Feathers pub, was a master boater builder; his workshop, on the banks of the Thames in Putney, is now the Westminster School boathouse, which still bears his name, JH Clasper.